In the February issue of Cook's Illustrated, I spotted a challenge that I was eager to take on: Chicago-Style Deep-Dish Pizza. New York City is home to great pizza joints that serve both 'New York Style' and Neapolitan pies. My favorites, at least so far, include Fascati's in Brooklyn Heights, Motorino in the East Village, and Keste in Greenwich Village. They all serve mouth-watering pizzas and I usually end up overeating. Sometimes though, I get in the mood for something heartier--a pizza that is more hefty than floppy. I've had fantastic experiences with deep dish pizza, most memorably at Pizzeria Due (sister to the original Pizzeria Uno) in Chicago. I've also eaten some rather lackluster pies that tend to be either overly cheesy or have a wet crust that can't support the heft of the ingredients. 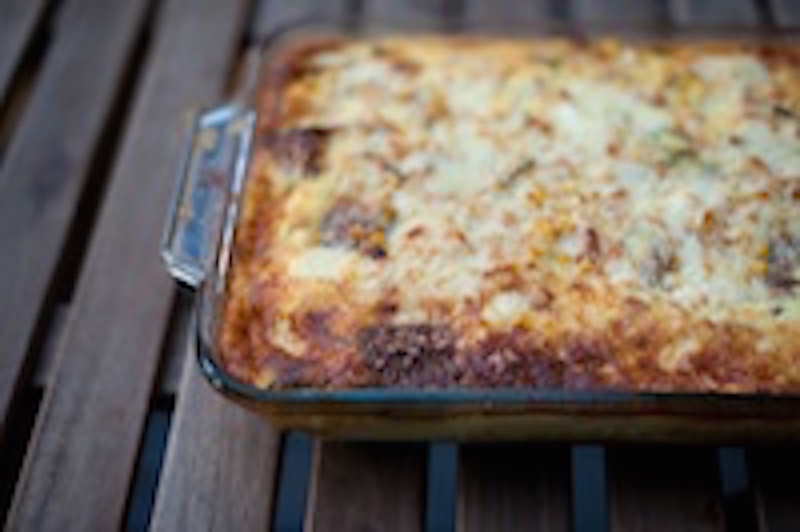 Cooks Illustrated is well known for their thoroughly researched recipes. 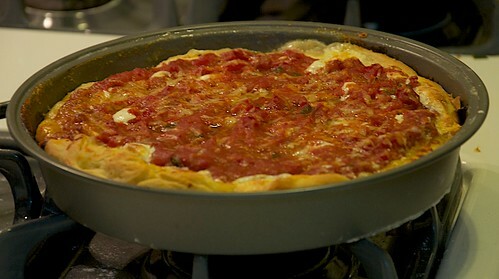 The chef behind the recipe I used experimented with over 100 deep dish pizzas! I have neither the funds nor the patience for that! 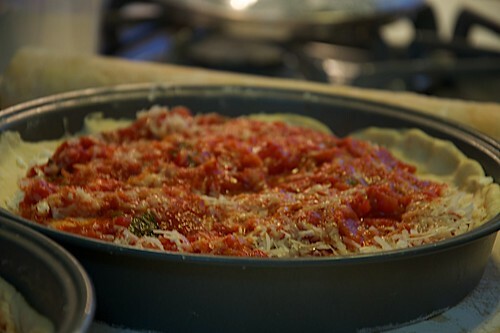 The author goes into a detailed discussion about crust and what makes a Chicago pizza authentic. This winning Cooks Illustrated recipe aims for a crust that's almost like a flaky, rich biscuit. 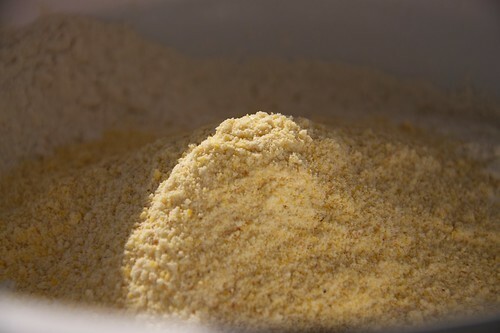 And in order to be truly 'Chicago', the dough must contain cornmeal. About halfway through my dough-making, I thought I was going to be forced to abandon ship. 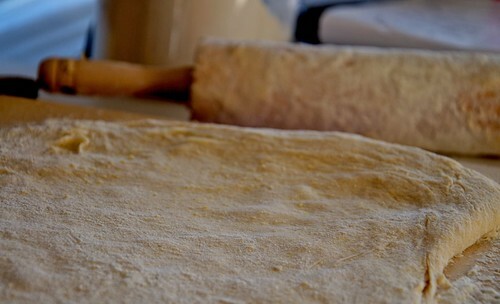 While the dough was rising, it remained incredibly sticky, so much so that it got wrapped around my rolling pin and wouldn't come off. 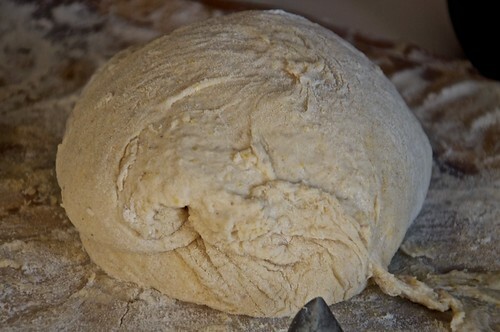 Even though the recipe said to roll the dough on a clean surface, I decided to spread a thick layer of flour on the surface and on the rolling pin, which did the trick. In the end, the flavor and dough consistency was pretty close to how America's Test Kitchen envisioned it...a rich tomato flavor, melted cheese, and a flaky, cornmealy crust. This was my first experience making my own dough (I usually rely on Dufour) and I'm excited to continue to learn the intricacies of breadmaking. a) Be careful about over kneading! The recipe says to use a stand mixer. I only own a hand mixer, which I did use, but I believe my sticky dough stemmed from overmixing. I think that next time I would mix the ingredients briefly with the mixer and then knead with my hands. b) Freshly shredded mozzarella is recommended because it tends to form a more consistent barrier between the dough and sauce. 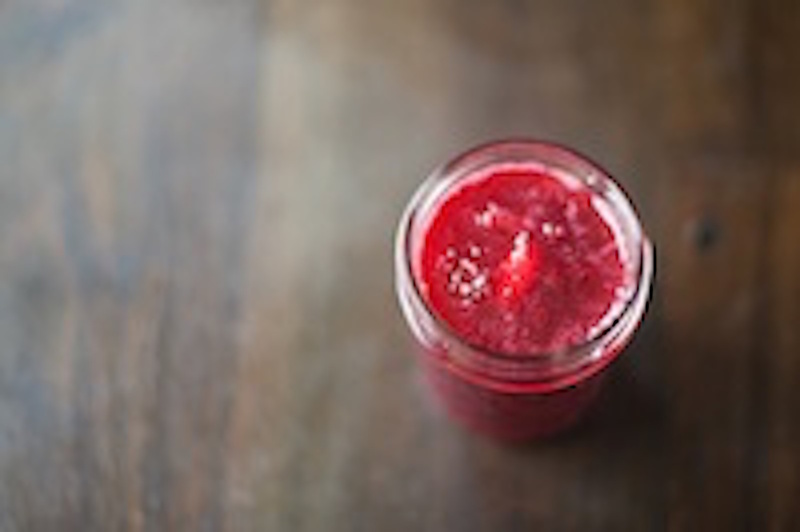 c) You can simmer the sauce for even longer than recommended: the flavor becomes deeper and the sauce thicker. d) I forgot the dried oregano in the sauce but, surprisingly, I didn't feel like the sauce really needed it. e) After the pizza has baked, let it sit longer than the recommended 10 minutes. We found that on our second serving, the pizza had hardened a bit and was much easier to cut into neat pieces.